July means summer. 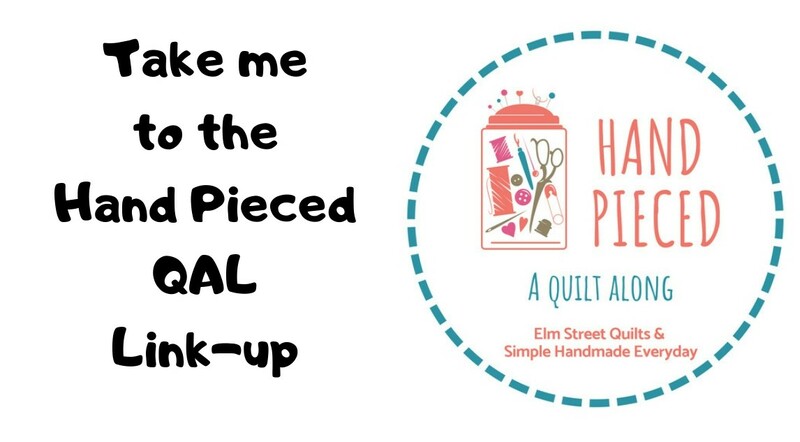 Temperatures and humidity remain high here in central North Carolina so it is time to pull out all my summer themed quilts to decorate the house. Our annual trip to the NC Outer Banks isn't until August this year. 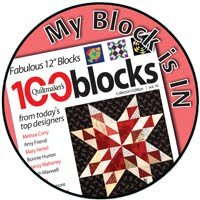 Until then, I'll just have to enjoy the various lighthouse quilts I've created over time. I really love the NC lighthouses! This one is a mini and finishes roughly 6'' tall. You can find the pattern here. 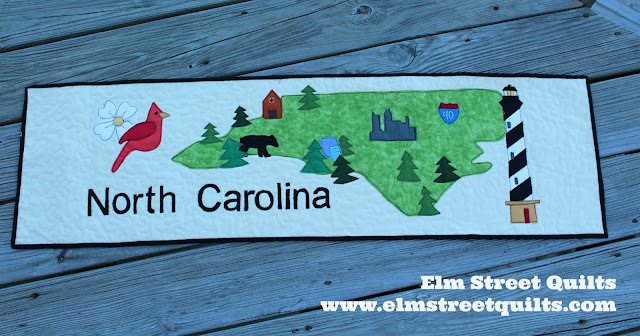 This is a table runner to celebrate all the wonder that is North Carolina, including the Cape Hatteras lighthouse! Pattern available here. And yet another table runner with lighthouses! 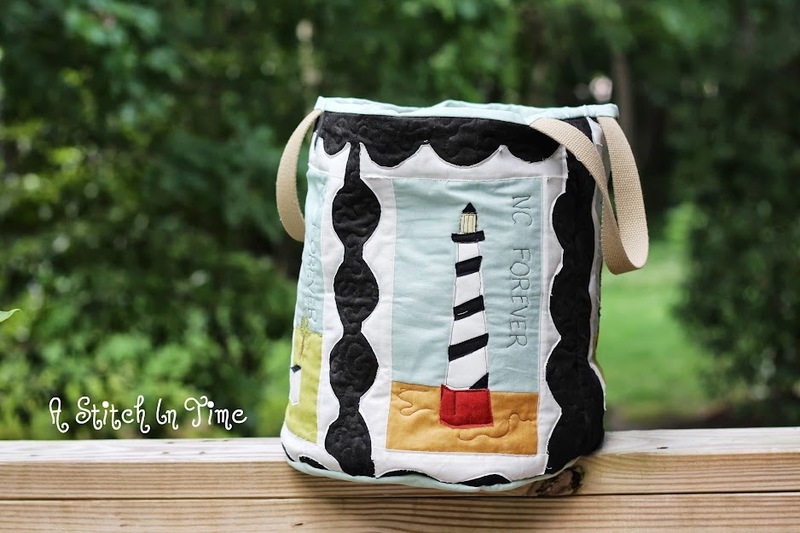 I even created a large rounded bag with four of the great lighthouses decorated the sides. With all of these beach themed quilted items decorating the house, it is also time to pull out my 4th of July wall hanging. Tutorial available here. I hope you enjoyed my mini display of July and beach related quilts. I had fun sharing them. Fun quilts, PattyD! Those would definitely get me in the mood for the beach. You've reminded me to get out my one patriotic heart. I love the OBX too!! Eating oysters and visiting the lighthouses, riding the ferry, all such fun. NC is heaven on earth. Lots of summer goodness here! Hope you enjoy your week. What a lovely grouping of quilts and quilted items for the summer and for July. I hope you have a happy and safe 4th of July! 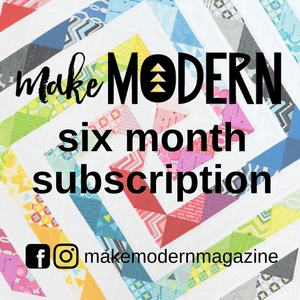 Great summer quilts. I especially like the round bag. How fun! Love your Cape Hatteras mini with the raw edge applique! Lovely grouping to celebrate summer! A wonderful collection of summer quilts, Patty! This has been a wonderful read about your love for your state and lighthouses. I live completely land locked. As a matter of fact, I live on the desert. I have only been to the ocean a few times both the Atlantic and Pacific and I have a great respect for its beauty. Mountains are more my thing. All beautiful creations. That round bag is a favorite.